‘Rule’ No. 1… You can never have too many gadgets. Tacony also makes some adorable Snail Tape Measures that are fun for anyone to carry and use. Pop one in your purse or sewing bag. Everyone will comment how cute your tape measure is. 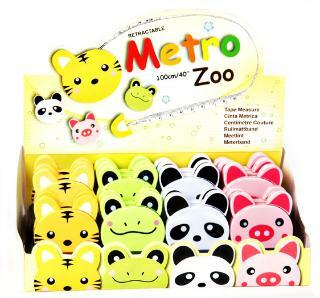 I especially love these Metro Zoo Tape Measures for the kids. They will find anything and everything to measure with these fun little pals. Great learning gadget for them as well. You want one don’t you?? Leave a comment and we will pick a lucky winner to receive the Tacony Tape Measure Gadgets! You just have to answer this one question… My Favorite part of the Moda Website is _____. You have until the end of the month to comment! Go Go Gadgets!! Next Next post: An all-in-one ruler for quilters? It exists! What’s NOT to love!! You tell us about all the newest patterns, fabric and gadgets!! PLUS there are always give aways and FREE patterns!! LOVE MODA! My favorite part of the Moda website is the Fabric Collections. I use it often to check on new, current and older fabric collections and also to check on coordinating fabric lines and individual fabric pieces. I love the bakeshop & all of the lovely recipes. My favorite part of the Moda website would have to be the bakeshop, always inspiring, and at times gets me into trouble because it makes me want to buy more fabric and I already have quite a stash!! My favorite is the Moda Bake Shop!! Thanks for the giveaway! I love all the beautiful fabric! I window shop all the time. Those tape measures are ADORABLE! I need one of each! My favorite part of the website is seeing all the old and new fabric – often I will llook to see the rest of a collection I love and then find a shop that carries the fabric I need/want. Thanks for the chance to win. My favorite part of the website is the Bakeshop and all of the delicious recipes. They serve as inspiration! It’s all wonderful but if I had to pick a favorite part, I would say the Bakeshop. I love all of the inspiration. Oh the Bake Shop is always a source of inspiration. And I love all the new gadgets like these! Moda is simply the best…. the best quilt recipes and the best fabric collections! Thanks for the great giveaway! Love the free patterns and all of the tips on the blog! I love looking at fabrics on the Moda site. It gives me inspiration to see pretty fabrics. I love the fabric download page. I live very rurally and buy my fabric online. This allows me to see which Bella Solids coordinate with collections quickly. I love fun cute useful things too! I would love to win! Oh, I love everything Moda! I use many patterens on the Bakeshop and have the book too! Free patterns! The inspiration from the Moda Bakeshop, being able to match up Bella solids with a Moda Jellyroll or Layercake that I just had to have. What’s not to “LOVE” about Moda, I “LOVE” it all. SO much eyecandy when I need a fix. Thanks for being this quilters go to site and fabric. That little USB stick is just killing me with cuteness! So are the snails! What fun gadgets. My favorite part of the site really is the blog. I like reading the tips, seeing the new fabric lines, reading about the designers, and of course seeing the new free patterns. My Favorite part of the Moda Website is the free patterns. Love the free pattern downloads. I love Moda Bake Shop, the blog and seeing all of the new fabric groups. I love the patterns in the Bake Shop. There is no way to make all the ones I love. Thanks a bunch for another awesome giveaway! ☺ I absolutely LOVE all things Moda and especially like reading the many tips and seeing all of the beautiful fabric collections. I love the moda web site always beautiful fabric to look at, fun gadgets and GIVEAWAYS!!! What not to love?? Oh wow….that’s a tough one. I would have to say the bakeshop. I am amazed at all the talented people out there & their willingness to share all their great ideas. I love MODA from top to bottom! Thanks for the chance to win. My Favorite part of the Moda Website is EVERYTHING – the newest patterns available, fabric and notions; all the wonderful giveaways and free patterns; just the whole website itself. Thank you once again for the chance to win. Yes, there are so dang cute and yes, I do want one for myself. Love the Moda Bake Shop with all the great patterns and inspiration! I also like the pages that show fabrics and reference them often when shopping or planning projects. I always check out the Future Groups pages – it’s like Christmas! Thanks for the give away! I love Moda Bake Shop and being able to look at upcoming collections! The free patterns, the cute gadgets, the helpful tips, the inspiration – I can’t choose just one. I love the Moda bake shop very much! I have two favorites. The Bake Shop for all the inspiration and patterns and the fabric downloader to help me really see how the fabrics look. Thanks for the giveaway. The snail ruler and the USB stick are really adorable! Patterns and fabric make the world go round. Love seeing all the new stuff! The fabric. And the Bake Shop. It’s fun to see what Moda has posted because it’s always something you don’t see most any other place! I just love all the Moda fabrics and using their recipes has given me a lot of inspiration. Go Moda! I love the fabric and the free patterns!! I love the Bake Shop for its inspiration and pattern tutorials! There are so many things to like, but to pick one would be the Bake Shop. the Recipes in your Bake Shop. It is what made it possible for me to become a competent quilter: they teach skills, scale, color, value, negative space, and the strength that comes from variety. Thank you! My favorite part of Moda are the free patterns. I just love the Moda Bake Shop!!! I become so inspired by all of the projects, plus it is fun to see the beautiful Moda fabric being used in these projects! It doesn’t hurt that you get the tutorial as well! Win-win-win!! My favorite thing on your website is the free patterns & the new gadgets that you show. I, too think you can never have too many gadgets. My granddaughter always wants to play with my tape measures. My favorite part is the inspiration provided by all the lovely projects and the clear directions in the tutorials. The new fabrics, the new designers, the new patterns and the new gadgets! Learn something new everyday:) Thank you! Such cute little gadgets! My favorite part of the website are the free patterns–they are all so great! Gotta love the Bake Shop with all of the fresh ideas. There’s so much fun information on the site. I always check out the newsletter as soon as it arrives in my email box – plus I use it as a jumping off point for the Moda Bake Shop. Because, really, can we ever have too many patterns?!? Thanks for the giveaway, those “Gadgets” are adorable – and useful!! I love Moda’s bakeshop and free patterns. Plus I like learning what is new in fabric and notions. I don’t have just one favorite part – I love them all! I love the Moda Website to keep up to date on all the latest gadgets, patterns and techniques! Thank you for the opportunity to win these fun tools! I love the free patterns in the bake shop. I’m partial to the recipes. I love the tape measures, really cute. All of these gadgets are adorable! Love love the free patterns. My favorite part of the Moda website is being able to download the fabric swatches into my EQ7 to create my own magnificent quilts with all my favorite Moda fabrics!!! There are so many parts of the Moda website that I love so I will list them in no special order. Ease of ordering, doing a search to finding what you are looking for, the save section if you are not finished ordering, great coloring to ease color match, what’s new and when will it be ready to ship, having Lissa keeping us up to date is a great asset for us. I could go on but you get my point. Thank you from a Moda snob. There I admitted it and proud of it LOL. To all who read this…wishing you a great day. The fabric! I love checking it all out. I can’t buy every line I fall in love with so I come here to admire and imagine. 🙂 thanks for the chance! I love finding out about new patterns, notions, designers, and projects. This is a tough question! I like the Blog, I like the free patterns, and I like the Bake Shop! My favorite part is the Bake Shop. Thanks! Fabric collections! I love seeing all the amazing fabrics! My favorite part of the Moda web site is the fabric collections by Designer. I like to to be able to see the fabric swatches for each group so I can tell what is in each collection. And I like to know what new collections are upcoming. And I love having the archived groups available! This may not be a ‘good thing’, but I ususally know the collections of the numerous designers I love better than anyone in the quilt shops! Fabric! Fabric! Fabric! It’s a candy store for quilt junkies. I love all the creativity and inspiration. I love a lot of things on their website, but I have to say that seeing upcoming fabric lines is always going to be my favorite. The free patterns of course! And the inspiration helps a lot too. I really want that panda. So cute! My favorite part of the Moda website probably would be the patterns. I love all the patterns! the recipes at the Moda Bake Shop! My favorite part of the Moda website is by far being able to access swatches of complete fabric lines. I seem to use this feature nearly every day, even if just to soak up some eye candy. Moda Bake Shop is a close second, and I have made several project I have seen there. Thanks for all you do to inspire! My favorite part is the patterns! I love having new patterns to try. My favorite part of the Moda website is the fabric collections. Living in a small town, I don’t always see the complete collection first-hand. Your website gives me the “full picture”. Recently, I pointed out a new line to my local quilt shop owner, who was impressed by it and ordered some, just for me. P.s. 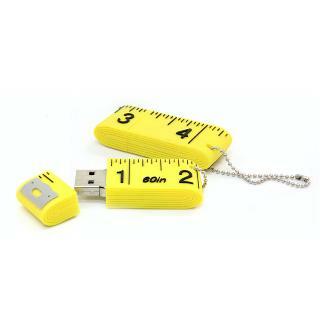 Love that tape measure thumb drive! ……the COMING SOON section! !I LOVE looking at what’s coming soon!! I love the Moda Bakeshop! So many great patterns and lovely fabrics. I like the bakeshop, the fabrics and the free patterns. They are all very good! I like the bake shop and seeing the new fabrics. Thanks! I love the Bakeshop and the new patterns and fabrics. My favorite part of the website is the free patterns. Thanks! My Favorite part of the Moda Website is the fabric collections. Thanks for the opportunity to win a snail tape measure! Seeing all of the wonderful fabric gives me inspiration to quilt. I’d say all the free patterns. I don’t think I’ve ever made one, but I like to browse! Fabric collections, new tools, what’s not to like???? Love the new Tacony toys!! My favorite part of the Moa website is the inspiration and Bake Shop(probably the same). I get so many ideas, never enough time to complete all. My favorite part is the inspiration. I can always find something “quilty” that I love. I love everything Moda, but especially your patterns. My favorite part of the Moda website? It’s all things Moda!!!!! My favorite is the fabric collections, but really I like all of it. i love the Tidbits section as well as the section highlighting your designers. I like it when you feature designers. Love the gadgets! My favorite is Moda Bakeshop and patterns. I like the ability to look at all the fabrics in a line. And the free patterns are a never-ending source of inspiration. I love the fabrics and patterns! And I love to see the gadgets that are new. I love the tape measures! I always have one in my purse to entertain toddlers and babies when they are upset. Works every time! I was in the emergency room with my mother in law when a small toddler came in and was uncontrollable. I got out my tape measure and started to play with her and she calmed right down. Thanks for the give away! I love the tape measure gadgets!! I love the page where you can see new fabrics that are coming and when! My favorite part of the Moda web site is the Cutting Table. I think it is just packed full of useful info on new products and series like the sewing rules..I love the tape measure gadget. Cute & useful info. I love the Free Patterns section. Love every bit of Moda…. most favorite thing is your fabric (sigh!). The featured gadgets are so sweet – never seen anything like them!! My Favorite part of the Moda Website is everything … the Bake Shop, new fabric collection previews, new notions, the designers, etc. My fav is the Free Pattern section! SO much inspiration – thank you! I think the bakeshop is a great resource! Thanks so much for all you do! The tape measures would be a hit in a Christmas sewing basket! Is “everything” an acceptable answer? What’s not to like – the patterns, the fabrics, the latest gadgets, tips and tricks. It’s all wonderful. Thank you! kathleen dot lutz at doh dot state dot nj dot us. The free patterns never fail to delight me. Another vote for The Bake Shop. I visit all the time and have gotten so many project ideas. Thank you and keep them coming. I love the Moda Bake Shop. Love new patterns. The fabric tab is my go to place at the Moda site. I can see what’s available now and peek at what’s coming. And there are so many ways to search! I like everything about Moda!! Love the patterns and heck, the whole Moda Bake Shop!!! These gadgets are the cutest… I also love gadgets or notions (as I call them) Thanks for sharing. Ooooohhhhh, my favorite part of the Moda Website is looking at the pretty fabrics. But from the other comments, it looks like I need to check out the Moda Bake Shop more! Moda is my fabric of choice. I don’t have time to check out all the fabrics, so Moda it is. I love Moda Bake Shop and have made several quilts from the patterns given there. I love the new tools that you demonstrate here. My favorite part of the Moda Website is all the lovely fabric choices, the inspiration, the tips, the patterns . . . do I have to pick just one? I love all the free patterns and being able to go look at all the fabrics in a collection. Wonderful eye candy! .. and no calories! bake shop, fabric collections, tidbits…it is all great. thanks very much for all the inspiration….and yeah the fabrics are wonderful!! My favorite part is the Bake Shop! Thanks for the chance to win! My favorite part of the Moda Website is the Bakeshop! How delicious all of the treats are! Oh I so agree with so many others … what’s not to love!?! Truth be told, I go to the fabric section and look at what’s coming in the future…. I get excited and start to watch the quilt shops….so much fun! Thanks for the chance to win! Patterns, fabric previews, and lots of great information that is easy to find later! My favorite part of the Moda website is all of the tutorials! I LOVE learning how to make new stuff! Best bakery on the planet! AND….NO CALORIES! Those tapes are adorable. I’m assembling a sewing kit for a granddaughter and one of these tapes would be perfect. My Favorite part of the Moda Website is The Cutting Table. I love the notions section. Always something new and interesting. O if I could only afford all the gadgets that moda has. I love all the patterns and inspiration that I get from this site. Thank you for sharing. I love the Bakeshop blog with all the amazing patterns! love the bake shop and browsing through the collections. the Bake Shop is definitely a favorite of mine. My favorite part of the Moda website would have be the fantastic patterns in the Moda Bake Shop. My favorite part of the moda website is being able to get all the recipes and to view the fabric collections. Sorry, I couldn’t pick just one. I love the website for all of the informational education (hope that says it all) that is dished out. Thanks for all you inspire. Definitely the fabric section. But I also love hearing from the designers. My favorite part would be the showcase of the gadgets and other tools, and you can’t not LOVE the Bakeshop!!! It is my go to place to look for a pattern when I have a new Moda line that I have to have!!! Thanks for the chance. I am new to the Moda webpage! Why have I not been here before? Reading all of the comments, I see there is so much to learn from this site! I will definitely be bookmarking it! I love these little gadgets! So much fun when quilting, and I have so many sites bookmarked about quilting, that I could certainly use that cute USB stick! Thanks! My Favorite part of the Moda Website is how many images from the book you show. For me that insures I get a book I’ll love and use rather than one that wastes away on the shelf. My favourites are the fabrics and the pattern. I love those ruler gizmos,. My favourite part of the Moda website is the free patterns. They are a great bonus in the sewing world. My favorite part has to be the new designers. It gives me that “I can do that,” attitude. My favorite part of the Moda website is ….the Cutting Table. I love your bakeshop with such great ideas on how to use our precuts. Keep them coming. I like everything about the website, your doing an awesome job, thanks for the giveaway. I love the introduction of new gadgets. I love gadgets. Now to find in local stores. I love all the free patterns! I love it all. I love fabric, books, and gadgets. I love gadgets, and what do I love at Moda – well, fabric would have to be #1 – they have the best. My favorite is the Bakeshop because of all the great patterns that are featured. My Favorite part of the Moda Website is all the ideas…the great new gadgets and how I HAVE to have them, to make the latest greatest projects! But, I love the fabric…so it is hard to decide my real real really favorite! free patterns and fabric collections! Love Moda! The Bake shop, fabric, tips newsletter designers….all of it! These are TDC! Too Darn Cute!! I love the Moda Bake Shop. My favorite part of the Moda website is all the inspirational photos! I feel like it’s DOABLE for me! I love seeing all the new fabrics, and the free patterns. Too early this morning–I just reread the Comment topic needed. Moda has the best, creative designers and the Moda website gives us lots of news about what’s new and upcoming. I start dreaming of a project from the patterns “in waiting” that I’d like to make. My favorite is the Moda Bake Shop. what I like is the ideas I get. Thanks for all you do. My Favorite part of the Moda Website is all of the nifty notions you bring to us. I would just love to have one of those USB Devices by Tacony. Thanks for the chance to win. I love the Moda Bake Shop the best on the Moda website, and I love all of these cool gadgets, too! love this website, especially seeing new fabric lines and patterns!!! My Favorite part of the Moda Website is the free patterns! My favorite part is the Fabrics and Catalogs. I can easily look up any Moda fabric and peruse through all of the collection. I also love to look through the catalogs to see what’s coming up for the next season. I love Moda! I love the Moda collections and Bakeshop! Seeing new and workable gadgets get me pumped and ready to start something new. I think Moda’s fabric collections cannot be out done. They are all so beautiful ! My Favorite part of the Moda Website is the bakeshop – great inspiration and recipes! I love how the recipes have rotary cutter ratings. The fabric collections of course. I never tire of looking at fabric! My favourite part of the Moda site is the free pattern section. So much inspiration can be found there. I love the moda bake shop! but then again, I love everything about Moda in general! I like seeing all of the new ideas and products. I really love these gadgets, they should come and live at my house! I enjoy seeing all the new fabric lines and the free patterns. I love the Bake Shop! I always go there when I need inspiration, and I love finding other great blogs through your tutorials! My favorite part is the great pattern section to see the wonderful ideas for the fabrics. So much inspiration and great tips and advise on the site! And one can never have too many tape measures and gadgets, right? Notions, Notions, Notions!!! I love that part of the Moda warehouse, too! I could spend DAYS in there!! Free patterns are my favorite, I have made several and keep returning to them. THE RECIPES! Gotta love free patterns and tips and tricks and gorgeous quilts to look at!!! My favorite part of Moda’s website is the Bake Shop, hands down winner. When I need a jolt of inspiration that’s my go-to place. Love it! Oh, the Bakeshop, of course! I can scroll and dream and imagine all day long perusing Bakeshop projects. Fabric…I have yet to explore the other goodness here, as I am a newbie. Thanks for the chance to win! all of it. I come here for ideas, to learn, to see what others are doing, for the fabrics, for the giveaways and the patterns. Super cool gadgets! My favorite part of the Moda Website is the give-aways. Right now there are so many that was the first thing to pop into my head. I also like the tips and techniques they share and the patterns at the Bake Shop are wonderful. It’s the “go-to” site for everything! Fabric, patterns, new tools and most of all -INSPIRATION! I could drool for days over the fabric collections. I love the fabric collections and inspiration you can find on the Moda website. Thanks! Moda Bake Shop! I love that all the patterns are pdf friendly. My favorite part is the pictures of quilts made with the moda fabrics – the ideas – the quilting – it’s all great. Oooh, I haven’t been a gadget girl but these photos could convert me! I have a friend who loves snails – gotta get her one of those. My favorite part of the Moda Website is either the Bake Shop or the blog. I get lots of great ideas from both! I love the moda bake shop – its my go to spot for new ideas! One thing from the moda web site, I love it all. If I had to pick one thing it would a black and white fabric line. Love these gadgets – I am a gadget girl. My favorite part of the Moda website is the fabric collections. I really like the notions, I’m addicted to cute gadgetry. What’s not to love about the Moda webste? My favorite would have to be hands down the bake shop. I get all my patterns for my pre-cuts there. It’s the best! I’m a fan of the bakeshop. I love the comment section– I learn so much from the other readers. Everything, can’t decide on any one thing. Thanks for the giveaway. Moda=Fabrics,Fabrics,and more great Fabrics! Thanks for the chance to win . Bake Shop has to be my favorite part of the site! the fabrics, no all the new patterns, I just love this site. I love all things MODA!!! Always looking for my favorite designers newest lines.